Infusion Coffee and Tea is leading the industry again—this time with the introduction of their new coffee flights! 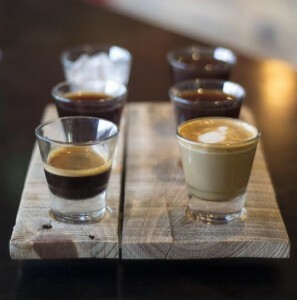 Dedicated to sharing their love of coffee and coffee culture, Infusion Coffee and Tea are using their 35 years of experience to craft a new experience for their customers, The Flight! This is a caffeine addict’s dream! Available now! Independently owned and operated, Infusion Coffee and Tea crafts every cup of coffee and tea to please your taste and embark you on a discovery voyage across continents, cultures and brewing methods. Just like wines, coffee and tea offers many intriguing aromas and flavors as well as stories from the producers and world habits. Embark with them on this journey and get caffeinated. ← Previous Previous post: Step into Spring with Split Pea Soup! Next → Next post: OMGiri Creator Mike Kravanis Wows with Disney Bento!